Tour Operated by our partner Holland Bike . Discover the highlights of Paris in a completely different way in your native language ! 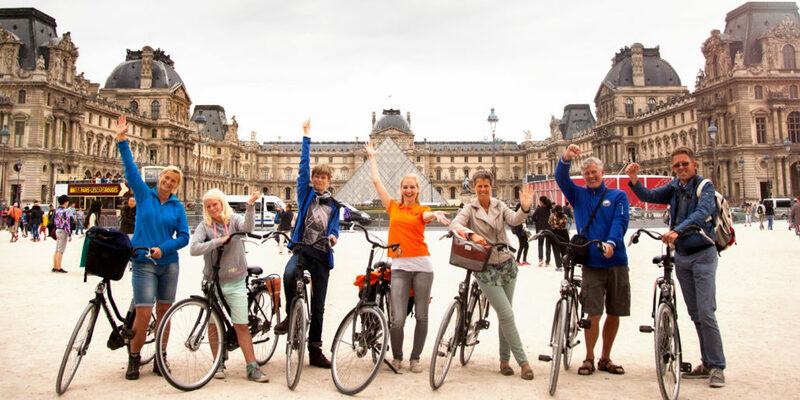 At a very relaxed pace the guide will take you along the most beautiful monuments like the Arc de Triomphe, the Eiffel Tower, the Louvre and more. There are many interesting stops and to put the icing on the cake, you will finish on the Champs Elysées, just like the Tour de France ! Real Dutch bikes. 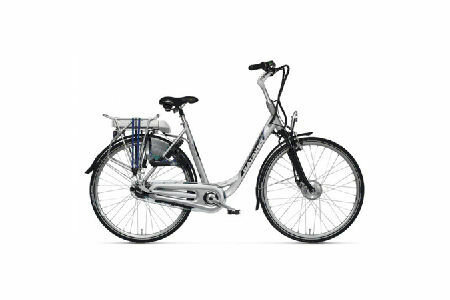 Whether you choose an electric or a classic bike, or choose to add a child seat, you will enjoy your ride on comfortable and secure bikes. 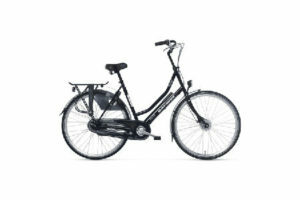 With its lovely vintage style, this traditional Dutch bike provides a comfortable biking experience for a memorable journey. Anti-puncture tyres, braking insured even on wet surfaces, it is well suited for your rides. Most of all, thanks to its 7 gears easy to change (even at a stand-still, with no risk of broken chain). You will love your riding style ! When you arrive, please enter the parking and go down to level -2. You will see our Holland Bikes’ counter. services presented on this page are provided by independent service providers and are not under the control of Paris Webservices. Paris Webservices does not accept any responsibility or liability for the accuracy, content, completeness, legality or reliability of the information contained on this page.